What classes should I expect to take? As an online photography student, you will have the opportunity to access your courses 24/7 from any location around the world. Online school provides convenient scheduling, which allows you to continue working and spend more time actually taking photographs. You will be able to learn new material through your online courses, and then immediately apply that material in the real world. Attending school online can give you access to a wide network of other photographers. You can communicate with your professors and fellow students through email, live chat, web conference, and discussion boards. Additionally you will be able to connect with professional photographers through your school’s alumni contacts. Online programs have some advantages over traditional ground-based programs. Online programs can cut back on the of the expenses associated with attending school on campus, like transportation, parking, student housing, meal plans, and even reading materials in some cases. Online programs are also proven to offer more convenience and flexibility. Students who have work or family obligations are allowed to study and do homework when their schedules provide. They are not forced to attend classes at times which may be inconvenient for them. Courses are easily accessible online, 24/7, and generally do not require special software to run. That means you can double check lecture notes and lessons online, instead of waiting to borrow notes from another student. The plethora of online learning options is at an all-time high. Students have the ability to choose from a variety institutions that will allow them to pursue their degree entirely online. According to the Babson Survey Research Group, online degrees are considered to have greater value than they were in previous years. 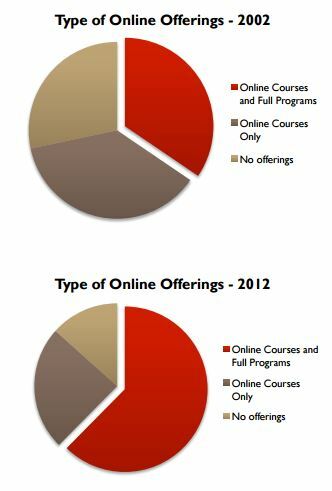 The charts below show this through the increase of available online programs over a 10-year span. Colleges and universities see the benefits of sinking more of their online efforts into providing full programs for students rather than select courses. Finally, when you are participating in online classes, you are learning how to work in the increasingly digital nature of professional photography. Learning about new technology and interacting with students from around the world will give students a taste of what it is like freelancing for somebody who is too physically far away to meet with. An online program will teach you how to interact with professors and other students digitally, by sending and receiving photographs for review. This process provides a great way for students to adapt to the ever-changing world of photography. Photography Bachelor’s Degree: This is generally a 4-year degree that allows you to study the elements of photography. 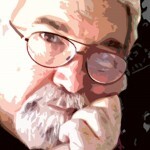 It will teach you how to capture a moment through your lens that evokes a response. Photography Associate’s Degree: This is typically a 2-year degree that is designed to help turn a person’s passion or hobby in photography into a career. These programs generally foster creative and artistic development. They also teach students technical, business, and marketing skills needed for a photography career. Photography/Digital Workflow Certificate: Certificate programs can be anywhere from a few months to a year. They are usually focused program that provide you with in-depth knowledge on a technical process of photography. Examples of certificate programs include exposure, editing, Adobe Photoshop training, or lens use. Studio or Portrait Photography Certificate: This is a specific certificate program that teaches skills needed in portrait or studio photography, such as camera operations, photographic lighting techniques for portraits, one-person studio business procedures, and professional portrait methodology. As you can see, there are many avenues that you can explore to become a professional photographer. Certificate programs are fast paced, and usually only take about a year to complete. Most certification courses are flexible with your schedule, allowing you to take more or less time to prepare yourself for the certification exam. When you have a certificate you are able to illustrate that you are qualified to be a professional photographer to your prospective clients, and have the option to continue your photography education. Pursuing a degree in photography is an excellent way to enhance your professional skills and credibility as a photographer. Since many of these degree programs are offered online, you can have the same flexibility as you would with a certification program. When pursuing a photography degree, you will be able to take a variety of courses that will delve deeper into the history of photography, and the individual techniques and styles that are used today. You will also be given the opportunity to practice your craft and build your portfolio. Deciding to have a degree, certificate, or both, will allow you to stand out to potential clients and employers and turn your passion into a successful career.